As we discussed at our last lunch, New Soul Cafe just opened on the west side of Evanston, offering "Everything you'd expect, and more!" 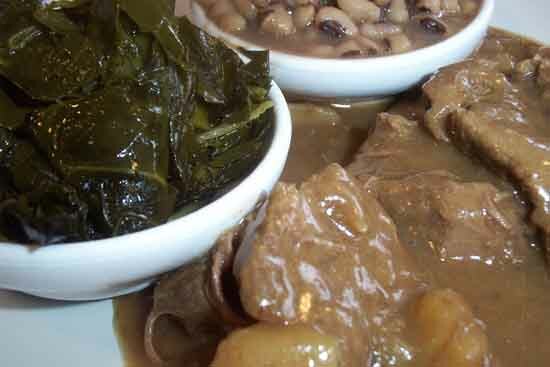 including traditional soul food favorites, along with salads and lighter options. Unfortunately, chitterlins are only served on Fridays, so that option won't be available to us. Please post or PM to let me know if you'll be there, so I can increase our reservation if necessary. Last edited by Mhays on January 31st, 2007, 2:42 pm, edited 1 time in total. Last edited by nr706 on January 31st, 2007, 2:43 pm, edited 1 time in total. Oop! I did mean Tuesday the 13th, and made the reservation accordingly! OK, thus far we have five, if I'm counting correctly. See you all on Tuesday! i believe i can make this one. fingers crossed. My meeting in Evanston was cancelled. I will have to take a pass today. I do look forward to your reports. I did call to check, and they are open today despite the weather and difficulty driving. I'm still in, hope to see all of you there. Sorry to miss you, Cathy - but on the other hand, I wouldn't want to drive in from out of town today! Thanks to Michelle for organizing this. Since I make it a point to avoid clichés like the plague, I won't say a good time was had by all. 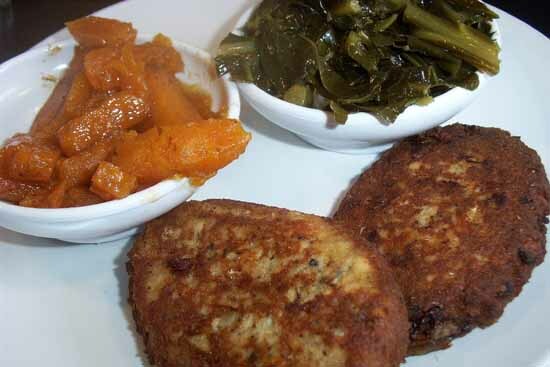 We did learn that New Soul Cafe's owners are from Mississippi, and that's the root of their cooking. All in all, a very good, down home comfort food type place, and very welcome food for a snowy afternoon. Strictly speaking the owners are from here, but the family is from Mississippi. I found the collard greens (flavored with smoked turkey) particularly notable. But I also liked the mac'n'cheese and the neck bones. New Soul is the best "meat-and-three" on the North Side of Chicago. Even the boiled okra wasn't bad. The biggest problem is that not everything is available everyday. So, Tuesday one gets Collards, and Thursday one gets Turnip and Mustard Greens. 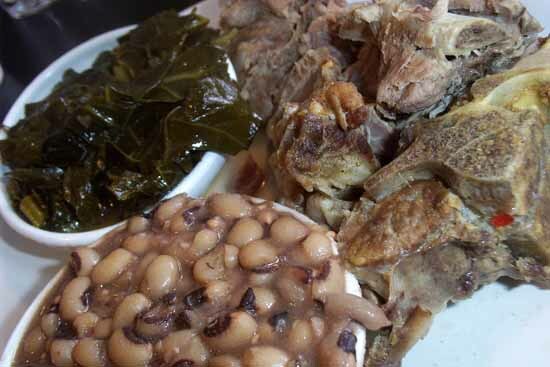 One must request chitlins specially; it's no longer on the Friday menu. 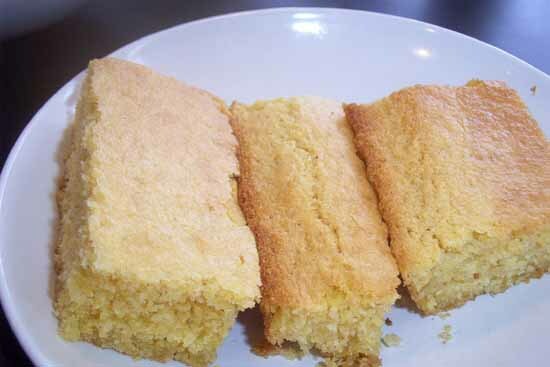 Not everything (lemonade, mashed potatoes, cheesecake) are made from scratch, but what is deserves praise.